Hudson Yards will be the nation’s first ‘quantified community,’ a testing ground for applied urban data science. Over the next decade, the $20 billion project — spanning seven blocks from 30th to 34th Street, between 10th and 12th Avenues — will add 17 million square feet of commercial, residential, and civic space, much of it housed in signature architecture by the likes of Skidmore, Owings & Merrill; Diller Scofidio + Renfro; and Bjarke Ingels Group. 2 But you don’t have to wait that long to see where this is headed. The first office tower, Kohn Pedersen Fox’s 10 Hudson Yards, opens next month, with direct access to the High Line. The new subway stop is already in business (and has already sprung a few leaks); an extension of the 7 train line connects the diverse, middle-class neighborhood of Flushing, Queens, with this emerging island of oligarchs. It’s also rising on a bed of data. 4 Reports say it will be the nation’s first “quantified community,” a “fully instrumented” testing ground for applied urban data science. 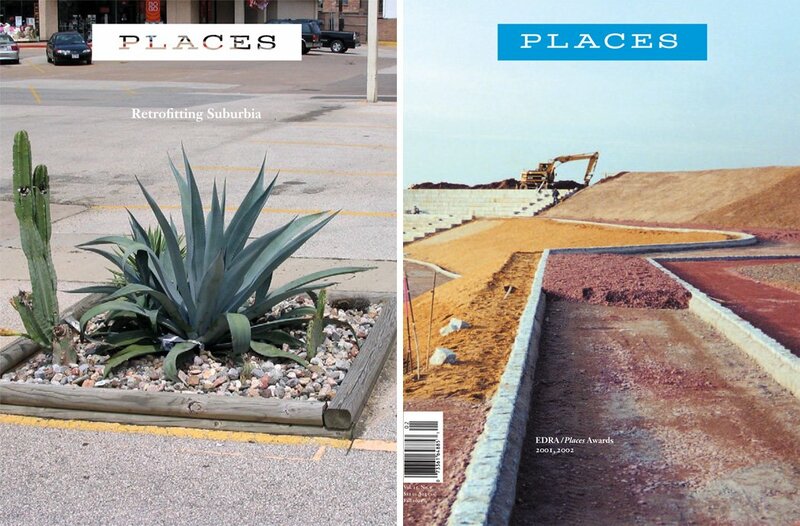 If you’ve read my work for Places, you know I’m not about to let that claim pass unnoticed. To understand what Hudson Yards portends for smart cities and smart urban citizens around the world, it is crucial that we examine the ground on which this experiment is taking place — the people and powers that converge here, and the epistemologies and methodologies and urban fantasies they are enacting. Yet real estate always finds a way. In the early 1970s, Richard Ravitch, developer and head of the Metropolitan Transit Authority, demonstrated the untapped potential of the MTA’s Caemmerer Hudson Rail Yards — 26 below-grade acres that served as parking for Long Island Railroad trains — by ordering the construction of columns that could support a deck above the tracks. “Once it was possible to build over the yards without disrupting their transportation functions,” writes anthropologist Julian Brash, “development proposals quickly emerged.” 6 In the mid-’80s, Olympia and York, a Canadian development firm that had worked on the London Docklands, offered to raze Madison Square Garden (itself a symbol of destruction, standing on the rubble of McKim, Mead and White’s glorious Penn Station) and build a new arena, office towers, and retail complex atop the rail yards. Here our story crashes into Daniel Doctoroff, the man who gave Hudson Yards its name. He heads a startup company owned by Alphabet that wants to build a futuristic city from scratch. Those plans were killed by the 1987 stock market crash, but a half mile south, organic growth was happening among the warehouses, garages, fringe nightclubs, and auto-repair shops of West Chelsea. The Kitchen, a legendary performance-art venue, had relocated from SoHo to West 19th in 1986, followed by the Dia Art Foundation, and then by trailblazing gallerists like Matthew Marks, Barbara Gladstone, Andrea Rosen, and Lawrence Luhring. 7 As Chelsea emerged as the city’s new contemporary art hub, entrepreneurs toyed with the idea of building a new Yankee stadium above the rail yards. Then came the economic boom of the 1990s and the growth of the Silicon Alley tech corridor. A collective of business, labor, and academic leaders known as the Group of 35 saw a need for more office space in Midtown and planned to annex the Far West Side. Bloombergian urbanism was ascendant from Times Square to the White House. Many of the same people have been committed to the redevelopment of the rail yards, in one form or another, since the Lindsay years. Despite the obstinacy of the site, the failed projects blazed the way for future development, as first the eastern blocks and then the western blocks were rezoned from manufacturing to commercial and residential use. In 2008, after yet another development deal fell through, the MTA awarded a contract to the partners who now control the site, Related Companies and Oxford Properties. 11 They invested $400 million to build platforms over the tracks, and, in late 2010, broke ground on the first building: 10 Hudson Yards, the 52-story commercial office tower now ready to open its doors at 30th Street and 10th Avenue. Throughout the decades of negotiations, the urban context has changed dramatically, with the flourishing of Hudson River Park, the renovation of the Javits Center, and the transformation of an elevated rail line into the wildly popular High Line Park. Early developers sought to demolish the northern section of the elevated track to make way for their own interventions, but the Friends of the High Line lobbied to save it, and we all know what happened next. 12 When 10 Hudson Yards opens next month, it will be filled with tenants who see the park as an essential amenity. The tower was built directly on top of the High Line and designed to accommodate it, with a grand pedestrian passageway running through the base. Circuits are the new topology of this terrain, once dominated by tunnels and tracks. Circuits are the new topology of this terrain, once dominated by tunnels and tracks. Yet another mechanical loop — a pneumatic-tube trash removal system by the Swedish company Envac — will have separate circuits for recyclables, food waste (converted to fertilizer), and trash (fed into a central dehydrator). While such systems are environmentally “smart” — they eliminate noisy, polluting garbage trucks; minimize landfill waste; and reduce offensive smells — they also cultivate an out-of-sight, out-of-mind public consciousness. With disposal chutes on each floor of every building, garbage becomes more of a domestic aesthetic problem than an ecological concern. 15 Perhaps the designers could provide a peek into the trash-collection system so that visitors can both marvel at its efficiency and reflect on their own contributions to the challenges of waste management. The master plan also calls for a contextual intelligence that acknowledges Hudson Yards’s relation to the city. The site, while marginal, should feel connected to the rest of Manhattan, and the buildings, while monolithic, should be “deferential.” The project’s “enormous physical presence … will feel threatening,” explained KPF principal William Pedersen, “unless it is sculpted and creates responses that are very specific to context.” 16 Some of the buildings taper as they ascend; some lean toward one another; some, with lopped-off crowns, seem to tip their hats; some smooth their envelopes’ sharp angles into soft curves. 17 Yet the renderings still demonstrate a great deal of luminous bravado. Cedric Price’s unbuilt Fun Palace, 1961. Yet another mediating structure sits just south of the Square, adjacent to the High Line. Culture Shed, a 200,000-square-foot venue by DS+R and Rockwell Group, will serve as a Kunsthalle for public and private exhibits, concerts, screenings, fashion shows, and trade events. The signature design element is a “telescoping outer shell” that can be extended over the adjacent lot, doubling the venue’s footprint for larger events. When the building is compacted, the side lot will be free for open-air programming and public use. Architect Elizabeth Diller has called it “an open infrastructure that could take on any form of creative expression, at any time, at any scale.” 21 Its flexibility and openness and readiness to accommodate an array of electro-mechanical demands, Diller says, constitute myriad forms of “intelligence.” In that respect, it was inspired by Cedric Price’s hypothetical Fun Palace (1961), a data-driven architectural machine that would calculate its users’ preferences and reconfigure itself to accommodate them. Though never built, Price’s Palace, like the Shed, represents an experimental platform where data determines form. Hudson Yards is thus marked by intersections: merging infrastructures, political-economic interests, operational logics, publics (ideally) — and urban imaginaries. According to Brash, the “Bloomberg Way” embraced two distinct imaginaries: a corporate city, with the mayor as CEO and the city as a “unified corporate entity,” a brand; and the city as a “luxury product,” an elite, meritocratic realm. 22 The Yards embodies both. Other stakeholders have different hopes for the development: they see it as the northern anchor of a vibrant cultural district (moored at the south by the new Whitney Museum); as a workshop for smart, sustainable construction methods; as a mixed-use neighborhood drawing diverse publics to its offices, residences, shops, restaurants, and cultural facilities. The metaphors begin to pile up. Hudson Yards is conceived as an interface, as a mixing chamber, a test-bed. 23 How will these competing visions be reconciled on the ground? Not easily is my guess, since they are born of different ideologies and epistemologies. Hudson Yards is conceived as an interface, as a mixing chamber, a test-bed. How will these competing visions be reconciled on the ground? In a recent article, Neil Brenner and Christian Schmid identified three “urban age discourses” that shape our current episteme. 24 Urban triumphalism, as championed by economists like Edward Glaeser, regards the city as an engine of innovation and civilization and prosperity. Sustainable urbanism imagines cities as hotbeds of resilience and environmental consciousness. Finally, technoscientific urbanism reflects a neopositivist return to postwar systems thinking and centralized planning; it is especially visible in the discourse around “smart cities,” which regards the intelligence generated from spatial sensing and data analysis as a “fix” for perennial urban problems. Bloombergianism draws from all three discourses; in fact, it represents their greatest synthesis. As Brash explains, the mayor’s “so-called pragmatism redefined complex urban issues as a set of ‘problems’ to be ‘solved’ via the application of technical knowledge and evaluated via quantitative measurement.” 25 He liked policies with measurable outcomes. Yet while Bloomberg’s advocacy for Hudson Yards depended on numbers — cost/benefit analyses, revenue projections, square-footage counts — Brash argues that it was also rooted in fantasy. In selling a vision of the future city, the mayor asked developers, and New Yorkers at large, to take a leap of faith. The first award, in 2012, went to Cornell University and the Technion-Israel Institute of Technology for a joint campus on Roosevelt Island. 28 A few months later, the mayor announced a second award, for New York University’s Center for Urban Science and Progress, a research center in Downtown Brooklyn. Since then, CUSP has become the hub in a large network of international collaborators that includes universities (Carnegie Mellon, CUNY, University of Toronto, University of Warwick, and the Indian Institute of Technology, Bombay); tech, design, utility, and defense companies (IBM, Microsoft, Xerox, Cisco, Consolidated Edison, Lutron, National Grid, Siemens, AECOM, Arup, IDEO, and Lockheed Martin, all of whom provide financial support); and city agencies (departments of city planning, design and construction, buildings, environmental production, parks and recreation, and transportation; the MTA; the Port Authority; fire and police). Call it the academy-industry-government complex. CUSP’s intermodal teams use city data — “urban informatics” — to address challenges related to infrastructure, energy use, pollution, noise, transportation, public safety, public health, and so on, and thereby “help cities around the world become more productive, livable, equitable, and resilient.” They start by focusing on problems close to home and then seek to scale up solutions that can be applied globally: “CUSP will instrument New York City and use existing data from network agencies to transform the city into a living laboratory and classroom.” 29 Instrument. What a remarkable verb. Hudson Yards was an unprecedented opportunity to rewire a large plot of land, aligning the city’s new data science industry with its expertise in finance, real estate, design, and structural and civil engineering. And while other sites around the world —Songdo, South Korea; Masdar, United Arab Emirates; Lavasa, India — have purportedly built “smart” from the start, Hudson Yards offers the first opportunity in the United States to build, from the ground up, “the most connected, measured, and technologically advanced digital district in the nation.” 40 Its new steel and concrete structures will serve as scaffolding for the installation of a “future-proofed” fiber-optic loop, as well as rooftop satellite, digital antennae, and wireless responders that provide tenants with super-fast connectivity without dead zones. The massive platforms and sidewalks and building facades offer seemingly boundless surface-area for embedded technology such as environmental sensors, sub-metering and building data-capture systems, and devices linked to the Internet of Things. Modeling software will process data on pedestrian flow, traffic, indoor and outdoor air quality, energy production and consumption, waste streams, and citizens’ health and activity levels. Residents and workers equipped with tracking apps and smartphone sensors will enjoy an “interactive, data-driven experience,” and developers can use the harvested data to improve “operational efficiencies, productivity, and quality of life” — to build a community that’s more “livable, equitable, and resilient.” 41 So the story goes. The trouble with modern theories of behaviorism, Hannah Arendt warned, is not that they are wrong but that they could become true. While data science itself is an interdisciplinary practice, the translation of data into built form requires collaboration among an even larger field of actors, many of whom bring wildly disparate values and preconceptions. Think of all the earthmoving that has to happen, or the negotiation with labor unions. These are not activities that can be easily data-fied. And not everyone in this larger field of actors shares Kontokosta’s concern with putting “important questions” before data collection and analysis. Real-estate developers and governments focus on measurable outcomes. They need numbers to inspire confidence in potentially risky investments, and to systematically guide their planning and implementation. “I don’t know what the applications might be,” admits Related’s Jay Cross, “but I do know that you can’t do it without the data.” 46 That’s a dangerous approach, argues sociologist Will Davies, as “theoretical presuppositions and hypotheses can allegedly be abandoned, along with notions of causality, in favor of blanket surveillance of everyday life.” 47 Then it’s all about data-capture and pattern-spotting and behaviorist explanations. Built environments and technical systems are presumed to inform human behavior, and data about that behavior is fed back into the environment to alter future human behavior. 48 It’s B. F. Skinner with sensors. Within this model, people do possess agency, but their actions are framed by their roles as consumers and generators of data. What about human activities that cannot be observed? What about all those potential behaviors that are never enacted, and thus never measured, because the physical space or its regulation prohibits them — or because one’s subjectivity proscribes a repertoire of possible behaviors? What about other modes of action, other means by which people perform their urban citizenship? How will the new methods of measurement and planning inform what it means to be a citizen in a quantitative community? “The trouble with modern theories of behaviorism,” Hannah Arendt warned in 1958, is “not that they are wrong but that they could become true” — that the very instruments used to measure behavior are indicative of, and constitutive of, societies of automatism and “sterile passivity.” 49 The data we generate, based on determinist assumptions and imperfect methodologies, could end up shaping populations and building worlds in their own image. Pedestrians outside the Hudson Yards subway station? Or automatons in a behavioral experiment? Jennifer Gabrys critiques the rituals of smart citizenship. People ‘behave’ like citizens by installing smart thermostats in their homes, depositing trash in the appropriate chutes, and FitBitting their way to good health. You cannot ‘coshape’ a painstakingly engineered, shrewdly financed, algorithmically-tuned, master-planned environment designed to prevent you from influencing it. Proponents of “values-driven design” advocate that citizens be involved in co-designing the technology that shapes the environments they live in and structures their everyday lives. Yet, as The New Republic’s Christine Rosen notes, “You cannot ‘coshape’ an environment” — particularly a painstakingly engineered, shrewdly financed, algorithmically-tuned, master-planned environment — “designed by others to prevent you from influencing it.” 55 Are there opportunities for meaningful citizen participation in creating the smart technologies that will define Hudson Yards? And what about the visitors? What about the conscientious objectors? What about the residents who lack the tools for participation — “smart” devices or technological “smarts” — and who are thus subjected to the city’s monitoring without being able to monitor back? I posed these questions to Related and CUSP. Representatives from both organizations indicated that they’re still in the planning phases for the “quantified community,” and they can’t share concrete details. Again, neither Related nor CUSP would confirm speculations about that spin cycle in the cloud. But if an off-site model is realized, the physical systems that make the development “smart” — its tubes and cables and servers — will presumably be hidden away like all the other circuits. What’s left? A deceptively clean, shallow interface to the Hudson Yards operating system, whose physical architecture, algorithmic operation, and security we know very little about. The conditions under which people will feel comfortable sharing their personal information … will be another subject for experiment. Let’s pause now to consider what we know about the community forming on the Far West Side. At 10 Hudson Yards, opening soon, tenants will include the luxury fashion retailer Coach, cosmetics company L’Oreal, digital marketers VaynerMedia, Boston Consulting Group, and the software and data analytics company SAP. 65 Next year, a second tower opens at 55 Hudson Yards, designed by KPF/Kevin Roche; the first confirmed tenant is the law firm Boies, Schiller & Flexner. Opening in 2018 are a 70-story apartment building by DS+R/Rockwell Group and a retail center by Elkus Manfredi that will feature more than one hundred shops, including New York’s first Neiman Marcus store, and restaurants “curated” by celebrity chef Thomas Keller. By 2019, Culture Shed will begin hosting events. David Childs of Skidmore, Owings & Merrill will unveil a mixed-used building anchored by an Equinox hotel and fitness club. And KPF will open a 90-story tower with tenants who are moving from the Time Warner Center at Columbus Circle, including HBO, CNN, Oxford Properties, and Related Companies; as well as the investment bank Wells Fargo Securities and at least one private equity firm. The year 2020 will bring the highly symbolic “regime change” of a 62-story office tower replacing the McDonald’s at 34th Street and 10th Avenue. After that comes a second phase of development, at the Western Yards, which will emphasize residential use; among its seven apartment buildings and one public school, there is one office building. This is a land of luxury and logistics, fitness and finance, marketing and media, couture and curation, fine-dining and data — all situated amidst abundant open space. Sidewalk Labs, remember, has a deep connection to the once-unprogrammable terrain of the Far West Side. Chief executive Daniel Doctoroff is the Bloomberg ally who recoded the territory as Hudson Yards. Given the neighborhood’s many evolutionary phases, whose histories are carved into the landscape here, it is fitting that Sidewalk now positions itself as an ambassador of the new infrastructural age. The company tells its own version of urban history: After the steam revolution, the electricity revolution, and the automobile revolution, all of which made their marks here, comes a digital revolution characterized by “ubiquitous connectivity, sensors, location-based services, social networks, advanced computing power, the ability to analyze data, and new design and fabrication technologies like 3-D printing and robotics” that promise to “solve” our pressing urban problems, to promote efficiency and adaptability, to build urban community and “give people a greater sense of personalization.” 68 Is that what we’ve been missing all this time? A greater sense of personalization? Sidewalk Labs aims to bridge the gap that typically divides urbanists and technologists, embracing a set of principles and urban imaginaries that extend beyond the Bloomberg consensus. While established smart-city players like Cisco and IBM peddle top-down, master-planned solutions, Sidewalk Labs presents itself as a fresh alternative, offering “platforms” (there’s that ubiquitous, seemingly innocuous metaphor) that users can “plug into.” 69 Undergirding those platforms is the entire Alphabet apparatus: the “largest pool of capital in the world focused on urban innovation”; a “deep knowledge” of how cities work, informed by the company’s vast store of urban data, particularly regarding urban mobility; a commitment to privacy and “world-class security”; the leaders’ “trust-based” relationships with city governments and major companies; and their confidence to work “with, through, and sometimes around existing institutions and regulatory structures” in order to bring its products to market (italics mine). That foundation — rivaling the Yards’s two massive platforms in the concentration of funding, deal-making, and engineering required for its construction — equips Alphabet and Sidewalk Labs to “build, deploy, and service any digital technology in the physical world,” which they can then test “at scale” and offer on a subscription, fee, or commission model to private parties or governments anywhere. 70 Are you worried yet? Or thrilled? Although committed to a code of ethics that emphasizes local concerns and citizen empowerment, Sidewalk Labs aims big. Working at an ambitious scale enables the team to model the interrelationships among seemingly disparate urban challenges. For example: “the availability of transportation affects where people choose to live, which affects housing prices, which affects quality of life.” 73 Data-capture and pattern-spotting show potentially “actionable” correlations. Solving problems is then a matter of building the right relationships with partners and stakeholders, and developing the right technologies. Modern, affordable housing is enabled by performance-based code, advanced materials, and new and ownership models. Digital mobility systems can manage limited road space to improve transportation equity and air quality. Personalized social services can deliver measurable health outcomes while maintaining individual privacy. After Doctoroff’s own battles with zoning and building codes, it’s no surprise that he emphasizes the potential of performance-based codes. “In a world in which we can monitor things like noise or vibrations,” he wonders, “why do we need to have these very prescriptive building codes that only change once every several decades? It inhibits the transfer of land so we end up having very restrictive uses.” 75 He holds that owners and residents should be allowed to behave as they please in their apartments and neighborhoods, so long as they don’t exceed certain thresholds, and that a regulatory system built on sensors and automatic monitoring would produce more vibrant, mixed-use neighborhoods and “enhance the free flow of property, which lowers costs.” Of course, such models presume that the key variables that codes and zoning are designed to regulate — people’s health, safety, and welfare; property value, orderly development, and community character — are objectively measurable and enforceable. “Neighborly” behavior has a number. Such models presume that the key variables that codes and zoning are designed to regulate are objectively measurable and enforceable. ‘Neighborly’ behavior has a number. The winning city, to be announced in June, will get not only a DOT grant but also a “license” to Flow and 100 free kiosks. The result: an ingenious vertically-integrated system, with Alphabet managing city streets from A to Z — from individual automobiles and commuters’ navigational systems to transit informatics and the hardware that enables data-capture and transfer. The only commuters out of the loop (and off the map) will be those who aren’t plugged into Alphabet’s platforms and products. At Hudson Yards, the street design will make it clear who the intended users are. Justin Davidson surmises that street activity will be managed via drop-off lanes, “so the limos are taken care of.” But how to manage the shopping-cart pushers and skateboarders and fellow misbehavers? Sidewalk Labs did not respond to my inquiries. These-modern day Haussmenn have tamed their western frontier, sunk mounds of capital into a buried rail bed, finessed the zoning at the Department of Buildings, and now intend to use their new weapon — data — to revolutionize the old urban regime. When Doctoroff, surrounded by his old Bloomberg compatriots and new Alphabet colleagues, looks down upon the construction at Hudson Yards, he must feel that his Olympic dreams, long deferred, have been fulfilled — recast, rebranded for our new age of algorithmic ambition. The developers and financiers and data-managers will behold the same scene. These-modern day Haussmenn have tamed their western frontier, sunk mounds of capital into a buried rail bed, finessed the zoning at the Department of Buildings, and now intend to use their new weapon — data — to revolutionize the old urban regime. They’ll remake the infrastructures that have been entangled at the Yards; they’ll overlay a new topology of circuits and data flows atop the train tracks and tunnels. These Great Men — this is a latter-day Power Broker story, after all — will have successfully united New York’s powers in finance, real estate, design, marketing, engineering, technology, and now data science to construct a floating empire that blends all the urban age discourses: triumphalism, sustainability, technoscientism. They’ll behold the city “fully instrumented” — and instrumentalized, as an engine of data and profit. For a helpful overview of recent literature on smart cities, see Simon Marvin, Andés Luque-Ayala, and Colin McFarlane, Eds., Smart Urbanism: Utopian Vision or False Dawn? (New York: Routledge, 2016). Technically, BIG’s “Spiral,” on 10th Avenue, between 34th and 35th Streets, is one block north of the Hudson Yards site. John Cassidy, “Bloomberg’s Game,” The New Yorker, April 4, 2005, 56-67. Of course, data-driven urban planning has a long history. See Jennifer Light’s From Warfare to Welfare: Defense Intellectuals and Urban Problems in Cold War America (Baltimore: Johns Hopkins University Press, 2005) and Mark Vallianatos, “Uncovering the Early History of ‘Big Data’ and ‘Smart City’ in Los Angeles,” Boom, June 2015. Julian Brash, Bloomberg’s New York: Class and Governance in the Luxury City (Athens: University of Georgia Press, 2011), 146. David Halle & Elisabeth Tiso, New York’s New Edge: Contemporary Art, the High Line, and Urban Megaprojects on the Far West Side (Chicago: University of Chicago Press, 2014). After six years in the mayor’s administration, Doctoroff returned to the private sector to lead Bloomberg LP as President (2008-11) and CEO (2011-14). Quoted in Halle and Tiso, 215. For more on Hudson Yards financing, which includes public tax incentives, consult Bridget Fisher, The Myth of Self-Financing: The Trade-Offs Behind the Hudson Yards Redevelopment Project, Schwartz Center for Economic Policy Analysis, Working Paper 2015-4 (New York: The New School, 2015). See also Halle and Tiso; Hudson Yards Development Corporation, “Financial Incentives”; and New York City Independent Budget Office, “City’s Spending on Hudson Yards Project Has Exceeded Initial Estimates” (April 2013). Halle and Tiso, 176. For more on the High Line, see Places articles including Phillip Lopate, “Above Grade: On the High Line,” Places Journal, November 2011. Patrick J. Kiger, “Hudson Yards Rises Above the Rails,” UrbanLand, October 6, 2014. Juliette Spertus and Benjamin Miller, “Pneumatic Tubes for One New York’s Trash,” Urban Omnibus, August, 26, 2015. For more on pneumatic infrastructures, see Shannon Mattern, “Puffs of Air,” in John Knechtel, Ed., AIR, Alphabet City #15 (Cambridge: MIT Press, 2010), 42-56. Here’s Pedersen again: “We tried to design our buildings to respond to every aspect of the context around them. … That responsiveness, that gesturing, the sense that there is dialogue between buildings, is really the essence of what we are trying to do.” With 10 Hudson Yards sloping towards the Hudson River and 30 Hudson Yards “gesturing” toward the 7-train subway station, “we are creating a type of dance.” See David Moin, “Stephen M. Ross Discusses His Vision for Hudson Yards,” Women’s Wear Daily, March 10, 2016. Justin Davidson, “From 0 to 12 Million Square Feet,” New York, October 7, 2012. Hudson Yards Press Kit, January 27, 2016. Cynthia Davidson, “Moving Parts: A Conversation with Elizabeth Diller,” Log 36 (Winter 2016), 52. For more on urban “test beds,” see Orit Halpern, Jesse LeCavalier, Nerea Cavillo, and Wolfgang Pietsch, “Test Bed Urbanism,” Public Culture25:2 (2013): 272-306. Neil Brenner and Christian Schmid, “Towards a New Epistemology of the Urban?” City 19 (2015), 151-82. See also Henri Lefebvre, The Urban Revolution (Minneapolis: University of Minnesota Press, 2003 ), 191. For more, see Russell Hughes, “The Internet of Politicized ‘Things’: Urbanization, Citizenship, and the Hacking of New York ‘Innovation’ City,” Interstices 16 (2016), 24-28. According to Michael Manfredi, architect of “the Bridge” co-location facility, “It’s about making connections between someone who might be working at Microsoft and some doctoral student who is working on ways of assembling information, and that rarely happens on an academic campus.” See Liz Stinson, “Cornell Wants People to ‘Collide’ on Its New NYC Tech Campus,” Wired, July 1, 2015. Shannon Mattern, “Methodolatry and the Art of Measure,” Places Journal, November 2013. For a sustained critique of technoscientific urbanism, see also Mattern, “Interfacing Urban Intelligence,” Places Journal, April 2014, and Mattern, “Mission Control: A History of the Urban Dashboard,” Places Journal, March 2015. Steven Koonin, The Promise of Urban Informatics (The Center for Urban Science and Progress: 2013), 2. Quoted in Brian Libby, “Quantifying the Livable City,” CityLab, October 21, 2014. As the Applied Sciences NYC brief indicates, the city is focused on the potential commercialization of such knowledge. CUSP projects that its applied research, including the work of graduate students in its “Applied Urban Sciences and Informatics” degree and certificate programs, will generate $5.5 billion in economic activity, including nearly 200 spin-off companies and several thousand new job, within the first three decades of operation. Hughes observes that the recruitment of graduate researchers into such enterprises reflects the city’s commitment to equip its students “as tools for the 21st century digital economy.” See Hughes, op cit., 26, and New York Economic Development Corporation, press release, April 23, 2012. A few months after the CUSP announcement, a third award went to the Columbia Data Science Institute, which, like CUSP, focuses on informatics, but has a wider purview; their work addresses such topics as cybersecurity, health and financial analytics, the management of large data sets, and generalizable formal and mathematical models for data processing. Later, a fourth award went to Carnegie Mellon, which proposed to locate its Integrative Media Program in Steiner Studios at the Brooklyn Navy Yard. CUSP press release, “NYU CUSP, Related Companies, and Oxford Properties Group Team Up to Create ‘First Quantified Community’ In The United States at Hudson Yards,” April 14, 2014. On the politics of smaller-scale, more modest, retrofit-oriented “smart city” initiatives, see Taylor Shelton, Matthew Zook, and Alan Wiig, “The Actually Existing Smart City,” Cambridge Journal of Regions, Economy and Society 8 (2015), 13-25. Robert Lee Holz, “As World Crowds In, Cities Become Digital Laboratories,” Wall Street Journal, December 11, 2015. United States press release, “Fact Sheet: Administration Announces New ‘Smart Cities’ Initiative to Help Communities Tackle Local Challenges and Improve City Services,” September 14, 2015. CUSP press release, April 14, 2014, op cit. Quoted in Steve Lohr, “Huge New York Development Project Becomes a Data Science Lab,” The New York Times, April 14, 2014. Kontokosta, quoted in Lohr. NYPD deputy commissioner of information technology Jessica Tisch likewise explained that “the thing that allows you to do data-driven management is to view all the different sorts of data at the same time and provide that data to the officers in new ways,” quoted in Holz, op cit. See Kiger, op cit., and Libby, op cit. Quoted in Lohr, op cit. William Davies, “The Chronic Social: Relations of Control Within and Without Neoliberalism,” New Formations: A Journal of Culture/Theory/Politics 84-5 (2015), 40-57. For more on the historical relationships between behaviorism, engineering, and cybernetics, see the work of Orit Halpern. See also Ana Teixeira, “The Pigeon in the Machine: The Concept of Control in Behaviorism and Cybernetics,” in Alleys of Your Mind: Augmented Intelligences and Its Traumas, Ed. Matteo Pasquinelli (Lüneberg: meson press, 2015), 23-34. For more on behaviorism in urban design, see Eric Gordon and Stephen Walter, “Meaningful Inefficiencies: Resisting the Logic of Technological Efficiency in the Design of Civic Systems,” in Civic Media: Technology, Design, Practice, Ed. Eric Gordon and Paul Mihaildis (Cambridge: MIT Press, 2016). Hannah Arendt, The Human Condition (Chicago: University of Chicago Press, 1958), 322. Jennifer Gabrys, “Programming Environments: Environmentality and Citizen Sensing in the Smart City,” Environment and Planning D: Society and Space 32:1 (2014), 30-48. Halpern, LeCavalier, Cavillo, and Pietsch, op cit., echo Gabrys’s claim that sensor-based urban “smartness” “marks a turn against the faith in liberal subjectivity, denigrates the place of older political processes in decision making … and operates at a level far beneath consciousness.” See also Marcus Foth, Laura Forlano, Christine Satchell, and Martin Gibbs, Eds., From Social Butterfly to Engaged Citizen: Urban Informatics, Social Media, Ubiquitous Computing, and Mobile Technology to Support Citizen Engagement (Cambridge: MIT Press, 2011). Christine Rosen argues that “in outsourcing so many aspects of our daily lives to technology, we are making a moral choice.” With the rise of ambient intelligence and persuasive technologies, “we are replacing human judgment with programmed algorithms that apply their own standards and norms to our behavior, usually with the goal of greater efficiency, productivity, and healthy living.” See Rosen, “The Machine and the Ghost,” The New Republic, July 12, 2012. Jennifer Light discusses the use of simulation games in communities and schools in the 1960s to help citizens understand urban systems thinking; such programs “encourag[ed] citizens to maintain the stability of the system rather than destroy it. Residents were educated to debate the political choices offered by the game but not to question the models of urban systems themselves.” See “Urbanizing Military Information Technology: Interview with Jennifer Light,” New Geographies 7 (2015), 139-147; and Light, “Taking Games Seriously,” Technology and Culture 49:2 (April 2008), 347-75. The goal of surveillance capitalism, Zuboff explains, is to “access … the real-time flow of your daily life … in order to directly influence and modify your behavior for profit.” Hudson Yards’s planners plan to use behavioral data in developing urban services — but it’s likely that that same data will be of great interest to local retailers and restaurateurs. See Shoshanna Zuboff, “The Secrets of Surveillance Capitalism,” Frankfurter Allgemeine, March 11, 2016. Jathan Sadowski and Frank Pasquale, “The Spectrum of Control: A Social Theory of the Smart City,” First Monday 20: 6-7 (July 2015). See Jessica Leber, “Beyond the Quantified Self: The World’s Largest Quantified Community,” Fast Company, April 22, 2014; and Lohr, op cit. Rob Kitchin notes that many of the governments and corporations managing smart cities claim to use anonymous data or metadata, but “the empirical evidence reveals that … privacy is being eroded, people are being predictively profiled and socially sorted … and inequalities are widening.” See “Grounding Urban Data: Interview with Rob Kitchin,” New Geographies 7 (2015), 109-14. Ryan Boysen, “Hudson Yards’ Smart City Initiatives Could Provide Glimpse of NYC’s Future,” Bisnow, February 22, 2016. Taoiseach of Ireland press release, “Minister Dara Murphy Launches New Report on Privacy and Security Implications of Smart Cities and How Best to Tackle Them,” January 28, 2016. Such issues are undoubtedly of concern to the New York City government, but privacy and security warrant little mention on the NYC Analytics website and are buried in its open data Technical Standards Manual. On his “wish list” for Sidewalk Labs, Arnaud Sahuguet, a former product manager at Google and current employee of Cornell Tech, called for the Labs to create a foundation to consolidate open source software for “civic tech,” a civic app store that embraces open standards, and an “academy” to educate civic leaders and entrepreneurs. See Sahuguet, “My Three Wishes for the Sidewalk Labs’ Genie” Medium, March 30, 2016. I would extend this educational call to encompass urban citizens, too, and to enlist educators without a vested interest in the development and implementation of (potentially monetizable) civic technologies. Paul Mason, “We Can’t Allow the Tech Giants to Rule Smart Cities,” The Guardian, October 25, 2015. Building details, including prospective tenants and opening dates, are derived from the Hudson Yards Press Kit, op cit, and from assorted real-estate press releases, as well as personal communication with Jessica Scaperotti of Related Companies. Michael del Castillo, “Will Hudson Yards Become Silicon Alley West?” New York Business Journal, November 3, 2015. While Intersection claims that one of its chief goals for LinkNYC is to address “digital inequality” by serving people who lack internet access, it also acknowledges great potential for profit from advertising. See Julian Chokkattu, “NYCLU Raises Privacy Qualms About Link Wi-Fi Hotspots,” Digital Trends, March 16, 2016; and Alix Jean-Pharuns, “What the LinkNYC Project Means for the Average New Yorker,” Motherboard, June 29, 2015. Note that the poor and homeless have historically been served well by our public libraries, institutions committed to public security and privacy and averse to the commercialization of users’ data. See “Sidewalk Labs: Reimagining the City as a Digital Platform,” Google Tech Talk, March 22, 2016, fro 27:05 to 30:00; and Shannon Mattern, “Library as Infrastructure,” Places Journal, June 2014. Diana Budds, “How Google Is Turning Cities Into R&D Labs,” Fast Company, February 22, 2016. See also J. Hughes, “Daniel Doctoroff Takes His Business to Hudson Yards,” The New York Times, January 26, 2016. See Tarleton Gillespie, “The Politics of ‘Platforms,’” New Media & Society 12:3 (May 2010), 347-64. Quotes from the Sidewalk Labs website. “Coordination Without Control” is one of eight core “principles” noted on the company website. Daniel L. Doctoroff, presentation at the Municipal Art Society Summit, “The Shared City: How Technology Will Improve Urban Living,” October 22-23, 2015. Larry Page, Google+ post, June 10, 2015. Quoted in Budds, op cit. See also Doctoroff, presentation at MAS Summit, op cit. S. Department of Transportation press release, “Alphabet’s Sidewalk Labs Joins the Smart City Challenge,” March 17, 2016. See also Conor Dougherty, “Cities to Untangle Traffic Snarls, With Help from Alphabet Unit,” The New York Times, March 17, 2016; Andrew J. Hawkins, “Sidewalk Labs Is Making a Tool to Prep Cities for Self-Driving Cars,” The Verge, March 17, 2016; Jonathan Schieber, “US DOT and Alphabet’s Sidewalk Labs Aim to Create new Public Transit and Wi-Fi Networks.” For more on the close relationship between the Obama administration and Google, see David Dayen, “The Android Administration,” The Intercept, April 22, 2016. Brian Fung, “The Tremendous Ambitions behind New York City’s Free WiFi,” The Washington Post, April 8, 2016. 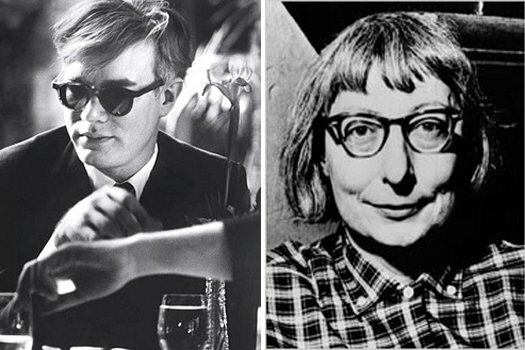 An urban geographer compares the radically different New York worlds of Warhol’s Factory and Jacobs’s Greenwich Village — and comes to some provocative conclusions.